In the past few weeks the world has been buzzing with stories of potential zombie incidents. Only last week I was on US radio reassuring my American cousin’s that they are safe, and have had many requests to explain what’s going on via the old Book of Faces. The body of Mr. Rudy (naked) and his victim Mr. Poppo. It all began with a chap in Miami USA, who spent almost 20 minutes eating a homeless man’s face before being shot dead by police. From there the floodgates opened, not a day passed without someone eating someone’s something, and journalists attributing it all as evidence that the zombie apocalypse is nigh. Now, no one more than I would welcome the arrival of zombies. Mostly because if they remain theoretical I will have wasted my entire scientific career. But also because it would make it easier for our Institute to acquire research funding. So are these incidents indicative of Zombieism spreading amongst the population? Journalists regularly use the word zombie in their articles to sell more papers, zombie-banks, zombie-youth, zombie-countries, etc. In fact I’ve written about this in a previous blog. It amazes me, given what we know of the industry, that people still believe anything that’s written in a newspaper. But that’s away from the subject. If we put zombie in the headline twice we'll sell double the amount. Throw in our integrity too. The three main ‘supposed zombie’ stories cited have been; Eugene Rudy AKA the Miami Cannibal, who ate up to 75% of the homeless Mr. Poppo’s face before police stopped him, the Baltimore student who murdered his housemate and ate parts of his brain and heart, and lastly, the Hackensack man who stabbed himself dozens of times and threw his protruding intestines, as well as pieces of skin, at the SWAT Team who arrived to help him. Sack, right, not slash. My bad. Let me wipe those intestines off. Officer. Now we can certainly understand where the zombie angle comes from for the first case, it maybe just works for the second, but certainly not the third. In the Miami case the attacker showed no regard for wearing clothing, consumed his victim raw, did not respond when talked to, and did not demonstrate self-preservation (ignoring the officer’s request to desist or be shot). These are all behaviours a true zombie may have. The second case is tenuous at best. The murder may or may not have been premeditated, but the keeping of the body parts most certainly was a conscious choice. Zombies do not have the mental capacity to plan or carry out such a scenario. The third case is definitely disturbing, but hardly zombie like. A zombie would struggle to use a weapon, has little interest in self-harm, and doesn’t have the coordination to throw an object. So if the cause isn’t Zombieism, what is it? There are a variety of possibilities. The Miami Cannibal was thought to have been high on a designer drug called ‘bath salts’. The effects of this drug are consistent with his behaviour, high temperature (leading to removal of clothing), hallucinations, and violent behaviour. However this has not yet been corroborated by toxicology reports. Man, I'm so high right now. The second case was one of pure cannibalism. Cannibalism is in itself a mystery. We do not know what makes some people choose to eat other people. We have yet to identify anything in the brain, damage or otherwise, that can explain why it happens. You won’t find cannibalism in any psychiatric handbook or any instances of it being a defence for the behaviour in court. Lastly, the third case was carried out by someone who had a history of mental problems. In conclusion, none of these events provide us with any evidence to support the arrival of the Zombieism disease. Many people are citing bath salts as being a drug that makes people into zombies. However there have been countless bath salt fuelled incidents reported; such as a man who broke into a random family’s house and put up their Christmas decorations, or, another man who was found wearing women’s lingerie, standing over the body of a dead goat. These tales just scratch the surface of ‘high on bath salts’ news stories. Yet it is only the ones that can be vaguely pinned on Zombieism that get the same attention as that of the Miami Cannibal. So the next time you read something discussing a supposed incidence of Zombieism, check the source. 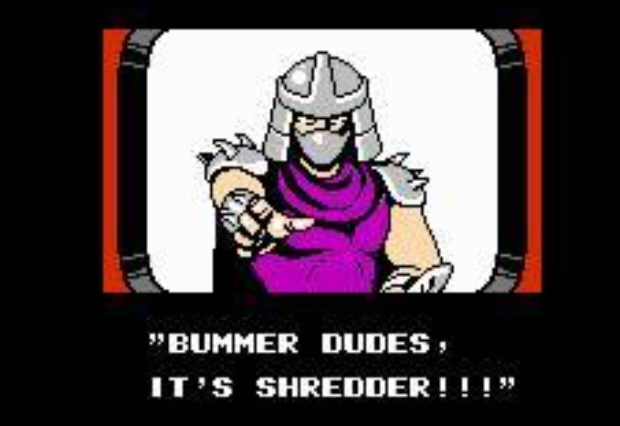 If it has been written by a journalist and not a zombiologist and/or scientist, you may want to pass it directly to my colleague, Mr. Shredder (the appliance, not the Turtles baddie). Ha ha Doctor Austin, I'm where all those manuscripts you send to Brian Cox end up! 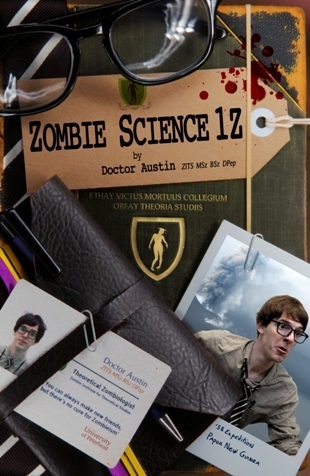 If any of you out there want to know anything about the real science behind zombies, do send your questions in to info@zombiescience.co.uk or post them on our Facebook page (www.facebook.com/zombiescience).